Built in 1923 to host the U.S. Open’s center court matches in conjunction with the nearby West Side Tennis Club, Forest Hills Stadium had its first heyday in the 1960s and 1970s, when it was also an iconic concert venue. Not only did Arthur Ashe and Chris Evert win Grand Slam tennis championships there, but the Beatles played two consecutive sold-out shows there in 1964. The Doors and Simon & Garfunkel, graduates of Forest Hills High School, did a double bill in 1967. Even Frank Sinatra, Barbra Streisand, and Diana Ross performed there before the venue shut down in the mid 1990s due to financial concerns. 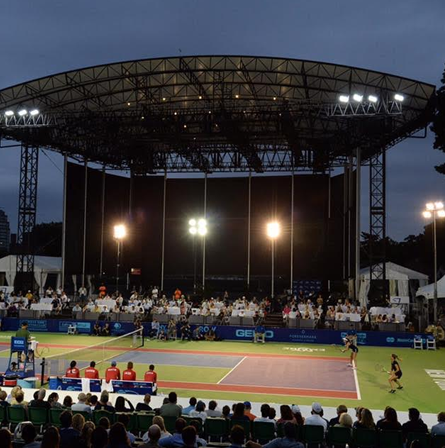 As West Side Tennis Club continued operation, Forest Hills Stadium lay dormant until undergoing a roughly $3 million renovation in 2013 that included a complete structural overhaul, seat replacement, and the installation of a state-of-the-art stage. 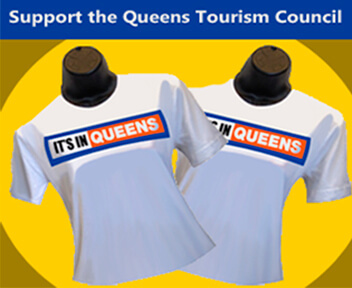 The site re-opened in August of that year with a concert by British rock band Mumford & Sons. Since then, it’s attracted a wide range of musical performers, including The Who, Van Morrison, and Carlos Santana. Inside scoop: The stadium is located right off the E, M, F, R subway lines as well as a Long Island Rail Road stop. Because it’s located in a residential neighborhood, public transportation is definitely the best way to go as parking in the area is very limited.